A leaked audio recording of a phone call allegedly catches the top U.S. diplomat to Europe working on a behind-the-scenes deal to end the Ukrainian political turmoil, and using profanity to express strong frustrations with inaction and indecision by the European Union in resolving the crisis. In the conversation, voices closely resembling those of Assistant Secretary for European Affairs Victoria Nuland and U.S. Ambassador to Ukraine Geoffrey Pyatt discuss a plan to broker a deal between the Ukrainian government and the opposition. At one point the woman, who sounds like Nuland, can be heard saying "f**k the EU." The recording was uploaded on YouTube on February 4 by an anonymous user named "Maidan Puppets," and had been viewed more than 11,000 times as of Thursday. The name of the user appears to be a reference to Maidan Square in Kiev, where protestors have fought the government and Russian accusations that the protestors are puppets of the West. The call also was posted on the Kyiv Post, a leading Ukrainian newspaper. 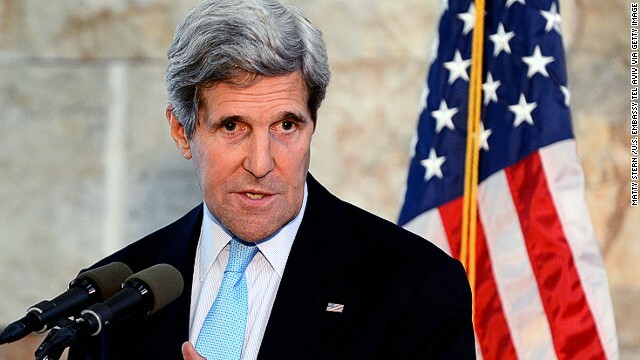 When Secretary of State John Kerry first took office he talked of changing Syrian President Bashar al-Assad's calculus. Assad "needs to know that he can't shoot his way out of this," Kerry said in March at a Rome meeting with members of the Syrian opposition. When he and Russian Foreign Minister Sergei Lavrov first conceived the idea of bringing the regime and the opposition together for peace talks in Geneva, they believed strengthened international support for both the political opposition and rebel forces would leave the Syrian leader ready to negotiate his own ouster. U.S. policy since then has had the opposite effect. Iran nukes: 'secret' side deal or face-saving attempt? Global powers and Iran are preparing to carry out an interim deal to curb Tehran's nuclear ambitions in exchange for easing some economic sanctions while they try to negotiate a comprehensive agreement. 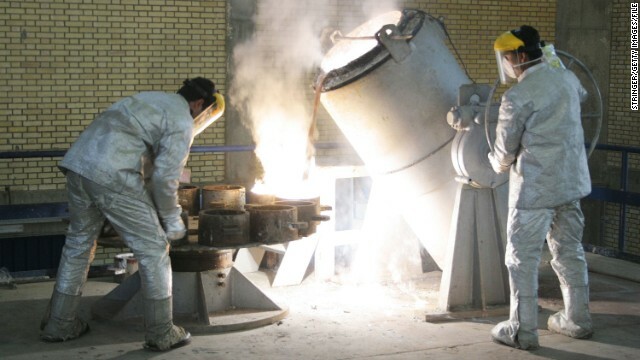 Successful implementation may ultimately revolve around previously unreported details about Iranian rights regarding its nuclear program that were included in a 30-page side bar to the six-month agreement that takes effect on January 20. 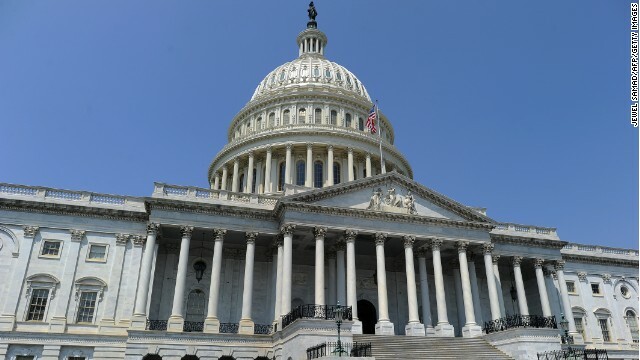 The Senate is readying a proposal that aims to restore U.S. aid to Egypt, some of which was frozen after last year's ouster of President Mohamed Morsy, two Obama administration officials told CNN. A provision that gives the White House flexibility to effectively eliminate restrictions on military and other assistance to countries facing a coup could be introduced as part of a spending bill as early as Monday. 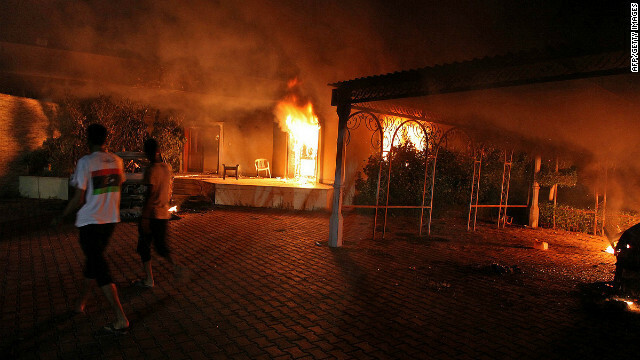 The State Department will soon designate a militia led by a former Guantanamo Bay detainee as a terrorist group and connect it to the deadly 2012 Benghazi attack, U.S. officials familiar with the decision told CNN. Officials said militants under the command Sufian bin Qumu took part in the armed assault on the U.S. diplomatic compound that killed Ambassador Chris Stevens and three other Americans. Qumu is the leader of the group Ansar al-Sharia in the eastern Libyan city of Darnah, one of several militias believed to be responsible for the attack. 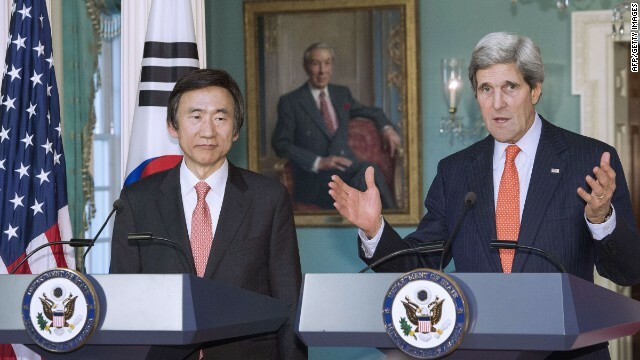 South Korean Foreign Minister Yun Byung-se and US Secretary of State John Kerry deliver remarks to the media in the Treaty Room of the US State Department after their private meeting on Monday. Secretary of State John Kerry and South Korean Foreign Minister Yun Byong-se gave the North Korean regime a tough warning Tuesday about any provocations. After an hour-long meeting at the State Department, the two men made statements. They took no questions. Kerry said they spent most of their meeting discussing North Korea and that the United States and South Korea remain “firmly unified, ” and there’s “not a shred of daylight between us” on North Korean missile activity. The United States supports President Park Geun-hye’s pragmatic approach to North Korea, he said. Kerry called upon Pyongyang to start down the path of fulfilling its international obligations and called on them to denuclearize. 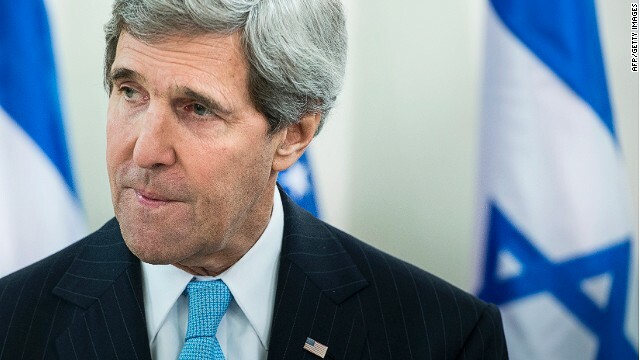 Secretary of State John Kerry will propose a framework for a peace deal between Israelis and Palestinians when he travels to the region this week. "During this trip, the secretary will discuss with both leaders the proposed framework for negotiations," deputy State Department spokeswoman Marie Harf said Monday. Harf said Kerry's framework would be guidelines for permanent status negotiations and would address all core issues. Other officials, who briefed reporters before Kerry's ninth trip to the region, spoke on the condition of anonymity so they could be candid about the sensitive peace talks. The seizure Friday by Islamists of warehouses of American aid for the moderate opposition in Syria - and the American decision to suspend further shipments - is less a loss of critical supplies than a huge wake-up call for the Obama administration that its policy to oust President Bashar al-Assad is falling apart at the seams. 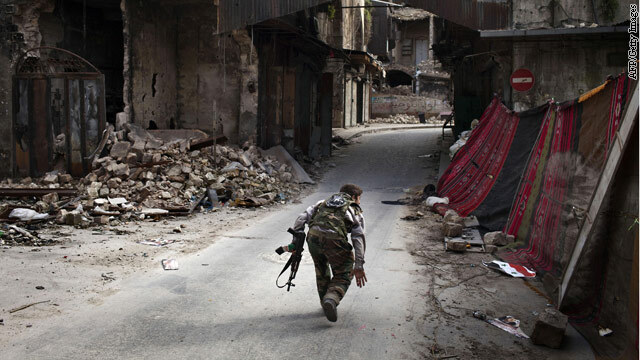 The warehouses belonged to the Supreme Military Council of the Free Syrian army, the military wing of the moderate opposition led by Gen. Salim Idriss. The United States and Israel are "absolutely in sync" about the need to prevent Iran from acquiring a nuclear weapon, Secretary of State John Kerry said Friday. Talk of Iran's nuclear program took center stage in close to nine hours of talks Thursday and Friday between Kerry and Israeli Prime Minister Benjamin Netanyahu. Kerry met with Netanyahu for the first time since the U.S. and five other world powers reached a deal with Iran over its nuclear program. His talks aimed to convince the Israeli leader to move beyond the "first step" deal and work on a comprehensive agreement that addresses all of Israel's concerns about Iran's program.